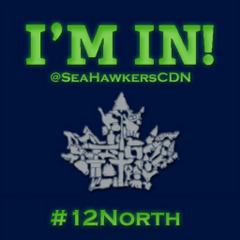 Hosted by Canadian Sea H.
Let 'em know you're there for the Seahawks game & they'll set you up, 12 style! Canadian Sea Hawkers (www.canadianseahawkers.ca), the Official Booster Club of the Seattle Seahawks is throwing a viewing party at The Games Room in Victoria for Wildcard Weekend of the 2018 NFL Playoffs. This sports bar is part of The Strathcona Hotel (www.strathconahotel.com) and it's our home for every Seattle Seahawks game! Doors open early, the majority of the TVs including big screens will be tuned to the Seahawks game with the volume up. Food and drink specials as well as other #12s will make it a great time! Join us as the #Seahawks dominate #NFL and The Strath. FEATURING: Strath Sports League and $12 NFL Bud Menu plus happy hour! The Games Room will run prize raffles and giveaways with exclusive opportunities for Sports League members. We're excited to be back at The Strath with Victoria's Seahawks fans this season! Please share this group with your friends and family, as the group grows we will be able to offer Canadian Sea Hawkers member raffles and host other events! Send an email to [masked] if you're interested in helping host and running future raffle draws.